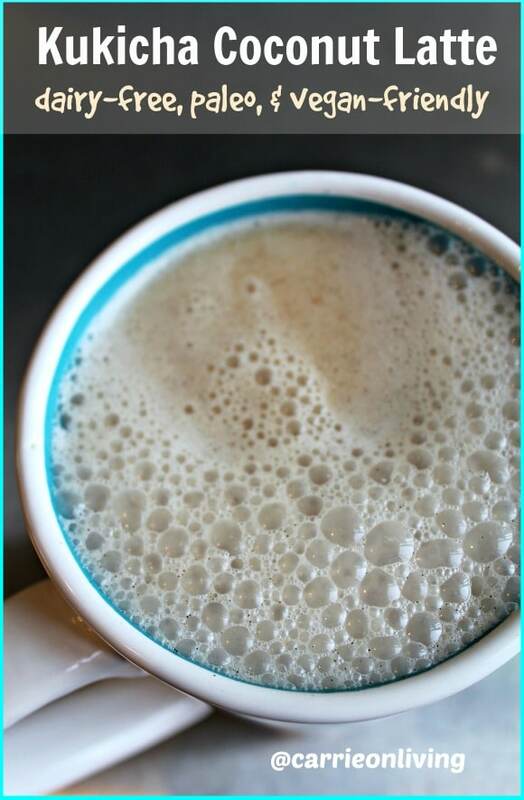 This post includes a recipe for an easy and delicious dairy-free Kukicha Coconut Latte for a healthy pick-me-up. Kuki-what-the-heck, you might be asking? 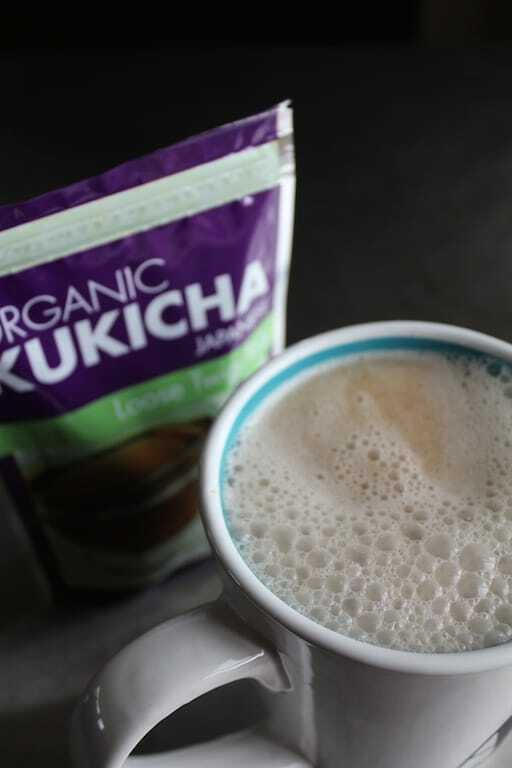 The caffeine level of Kukicha tea is pretty low, too, so it doesn’t impact my sleep like a cup of coffee has in the past, yet it gives me a boost of energy to get through the afternoon. Plus, I did some cursory research and found that this tea likely includes the same antioxidant benefits that green tea does, yay! 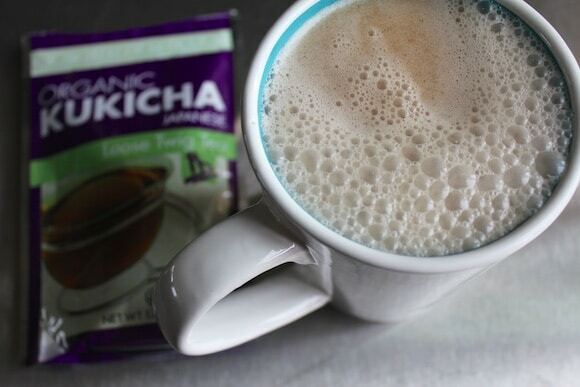 To make this latte, you’ll start with by boiling the tea. 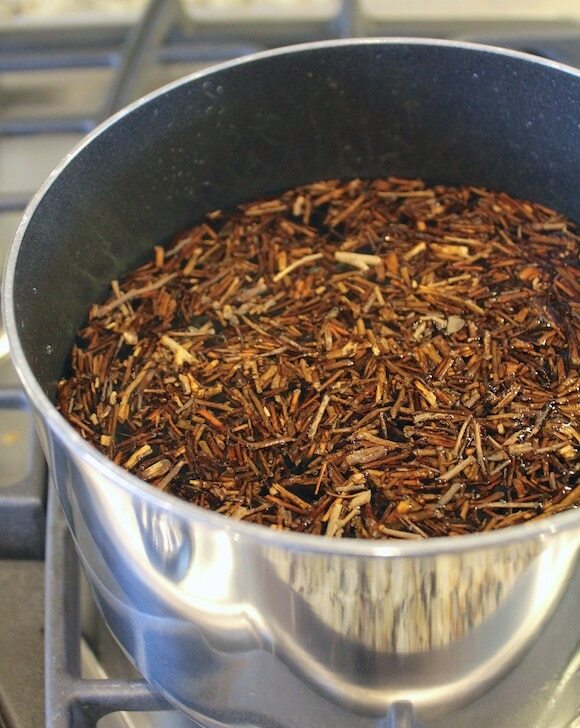 This is the most time-consuming step, but it’s necessary because you won’t get the full flavor by just steeping the stems like you would with leaf tea (if you really don’t want to boil your own tea, you can use the bagged version and steep it). Combine the tea and the water in a medium saucepan. Bring to a boil and then lower heat to simmer for five minutes. Set aside to cool slightly. 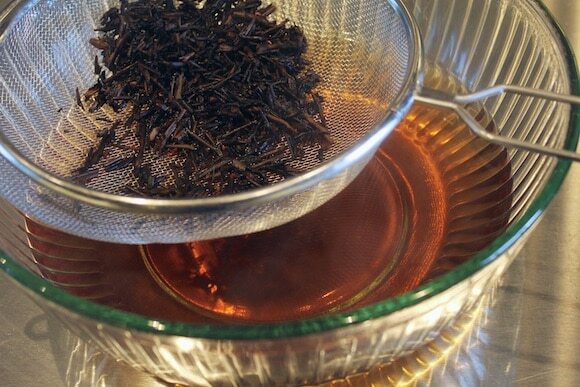 Pour brewed tea through a strainer to remove the twigs. Discard the brewed twigs or save them to be re-brewed if you like. 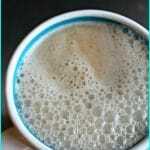 Combine two cups of the brewed tea with your sweetener and non-dairy milk of choice in a high-speed blender. Process on high for 2 minutes and serve hot. What’s your tea of choice? 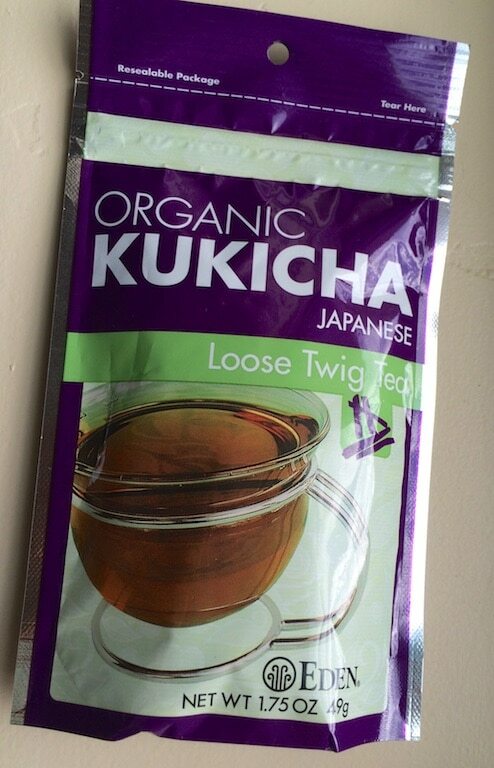 Have you ever tried Kukicha? 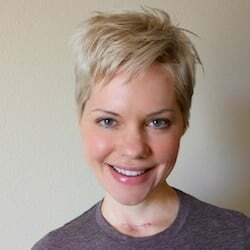 Your are undaunted in the kitchen — and a great inspiration, Carrie! I would try your tea, for sure. I mainly only drink water. But lately, I’ve been enjoying my herbal cough drop tea! 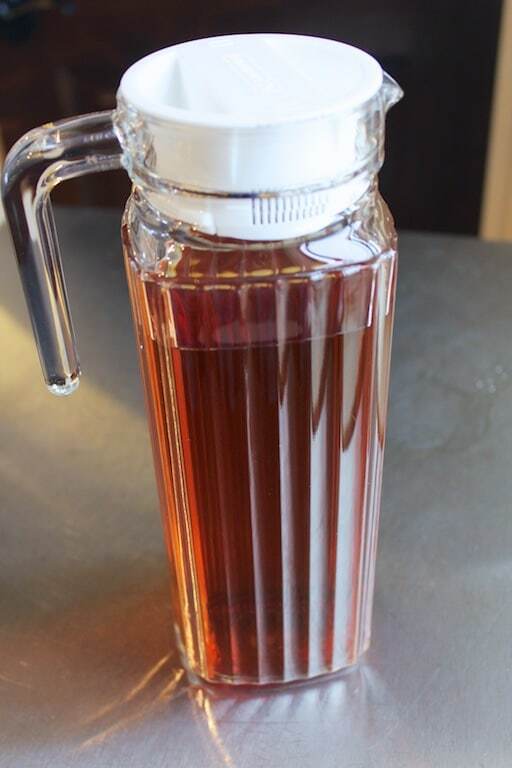 It’s homemade cough drops that you simply plop into a cup of hot tea water and stir. It’s mild but has plenty of flavor to satisfy me and it warms me up on a cold winter’s night. Thanks for the compliment, Diane. I have a friend who said I’m the mad food scientist and I think she might be right…I’m always looking for something new to try. 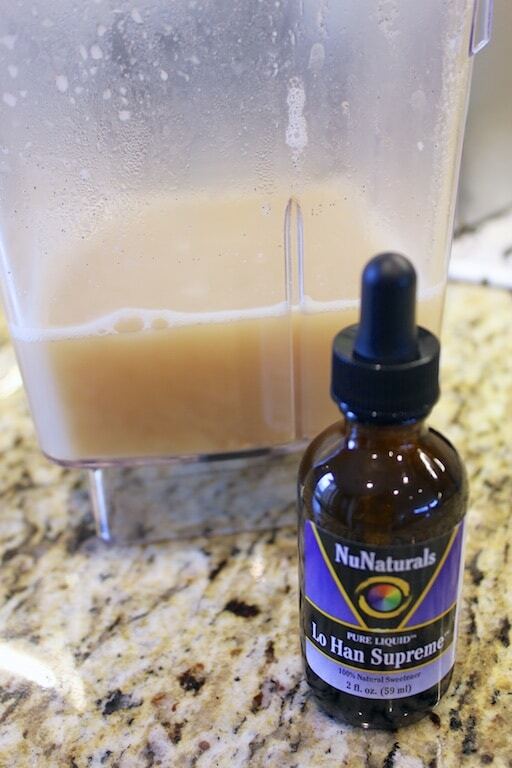 I love the idea of making homemade cough drops, too, and Katie at the Wellness Mama is simply brilliant. Thanks for the suggestion and hope you’re getting through this winter healthy and strong! Xoxo. Love this! First time I have ever heard of this. Thanks for sharing. You’re welcome! The only reason I became familiar with this tea is because it was on the menu of a restaurant I went to recently (Real Foods Daily in Los Angeles, it has a macrobiotic flair). It’s a nice tea, especially because it doesn’t taste “herbally,” but much more like a coffee-flavor.